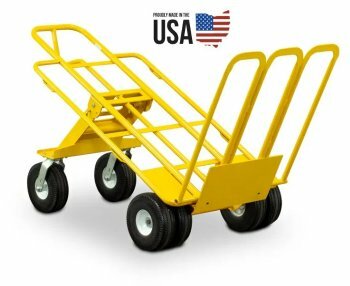 The Multi-Mover is your transport solution for large over sized loads. The 6 10" No Flat Wheels provide you with a piece of mind that you never need to worry about flat tires. No flats reduce down time. 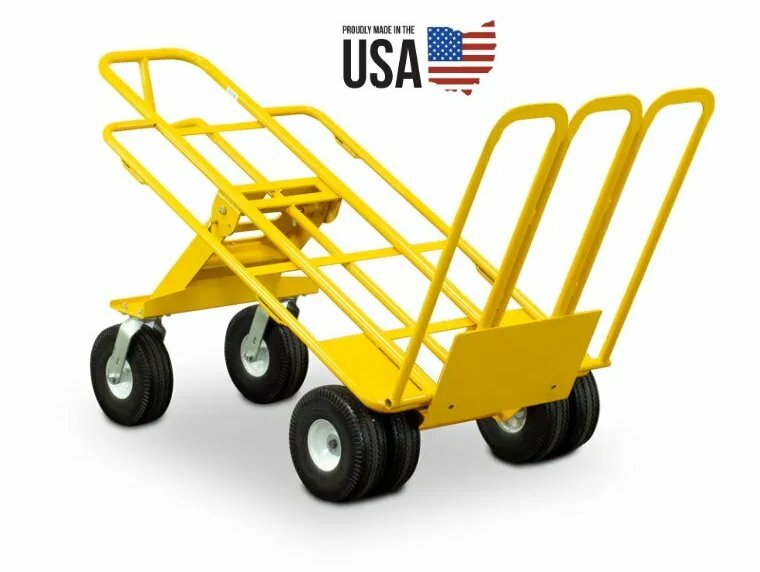 The 6 large wheels take the load of your back and provides for easy rolling over uneven and rough terrain. The Huge Deep Gate provides the ultimate support for oversized loads. Move large loads with confidence and ease. Get your Multi-Mover today! I own a Bouncy Houce party rental business and have some pretty heavy units,exspecially when they get filled with water.Well this dollie is wide enough for the big units and the wheels make it so much easier to manuver.The tilt back position is the best .Helps save my back,also makes easier to manuver.I have two,best dolliehand truck i've had. I have purchased many hand trucks from local hardware stores and our 500 lbs inflatables destroyed them almost instantly. 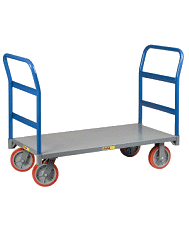 The MultiMover XT Hand Truck has been great! We have had no issues at all and our delivery guys are happy. I would recommend this product highly! The hand truck is perfect just what we needed to move the 500 pound bounce house into and out of the garage. I especially like the no flat, no air tires............... a big plus. It is easy to push and turn and works well in the grass also. Very stable even with the big rolled up bounce house on it! we buy this item for our jumping and slides and we have seen that is very easy to handle satff that wights a lot. the weels are strong. we are very happy with this product!!!!!! we recomend it.